With the colder months making their way, one thing that increases its demand is winter maintenance service. Snow build, precipitation and ice lead to a number of adverse hazards not only for the usual public but for business owners as well. 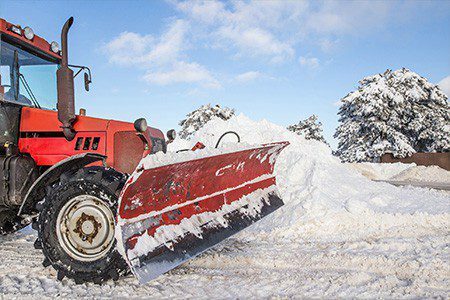 Scheduled commercial snow removal provides the needed peace of mind. Also, it ensures easy, timely and safe access. As obvious, clearing away all the ice and snow is possible only when you have the right snow plow by your side. Nowadays, there are many types of plows available with each having its own importance & role. Depending on the need, the right model, type and size can be purchased. We all want to keep our family safe from the dangerous fall accidents and slip offs. Clear pathways from home to vehicle are important when there are kids or elderly members in the family. As far as business is concerned, protecting the staff and clients from harmful conditions is essential. With the right snow plow at service, ensuring safety is easy and guaranteed. There are particular townships with rules that ask home and business owners to keep sidewalks so as to prevent slip and fall accidents. Keeping up with snow manually isn’t always possible, especially with full-time commitments and busy schedules. The problem can be put to rest with plows. Now it’s obvious that apart from torturing fingers and toes, cold weather shows its ruthless side on the property, if maintenance is not taken care of. Regularly maintaining the parking lots and other areas safeguards from accelerated wear and tear. Keeping the property in shape and appealing needs nothing more than a world-class snow plow. What else? It will help save money on crack repairs, parking lot repainting and much more. Who says no to extra hours of comfortable sleep? No one! When you have this wonderful equipment that will sweep off all the snow easily and quickly, you can stay cozy and warm without worrying about anything. As far as poly is concerned, it lets the snow slide off effortlessly. Moreover, it is effective against dents, scratches and corrosion; hence, a durable option. Stainless steel is also corrosion resistant but not as slick as poly. Most of the users find it more appealing though it is easily prone to dents and scratches. Mild steel is known as the industry standard. No doubt it is rigid, durable and valuable however, it ain’t corrosion resistant. Not every user knows that attaching the plow is not only easy but quick too. All that’s needed is considering the condition in which the plow needs to be attached or switched between multiple trucks. For this reason, evaluating the attachment system is important. Trying the attachment system while purchasing is the ideal way to judge how easy or tricky the application is. You can easily find the manufacturers who provide cutting-edge snow plows at affordable price. These professionals aim to making the customers’ job easy and efficient. Whatever be the conditions, when you have the reliable and tough equipment with you, you can accomplish the task even in extreme situations. So, what are you waiting for? Buy the right plow and clear off the alleys, narrow driveways or any surface. The easy-to-fit, functional and dependable machine will provide you the expected results.